Yes, I know. But I couldn't post the title with a K for the word creative. I tried. Twice. Nothin' doing. I'm going to participate in this one because I really like the concept behind it. It's a nice way to wrap up the year and acknowledge the blogs that have become a part of the person that you are. 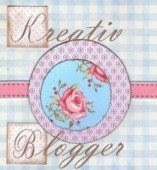 Blogging is interesting in that it connects you to people you normally would have never met and are delighted to find. I've shared my life as you've shared yours and I value the friendships that I am building. Both Carrie at Books and Movies and Calon Lan at Dwell in Possibilities nominated me for this award for being discerning, thought-provoking and encouraging. I'm honestly encouraged by these kind words and am ready to turn around and do the same! The purpose of the award is to recognize values that are important to us and that we appreciate in others. Below I have listed six values that are important to me, as well as six qualities that I dislike. The most helpful and selfless blogger I have found yet: Jennifer at Snapshot has been the most encouraging blogger I have had the pleasure of interacting with. As the managing editor at 5 Minutes for Books she has patiently answered my questions and directed my thoughts and words in such a way that I am truly grateful. She has influenced not only my blogging but my LIFE (for which all my in town friends and family have benefited) and I am truly thankful for her. The Deepest Book Reviews: I'm going to have to join in with Carrie at Books and Movies in tipping the hat to Calon Lan on this one. As Calon Lan mentioned on her blog, we've been friends since we were little kids. It's no joke -- our parents were friends when we were in diapers. We grew up in the same circles and I always though CL was super smart and therefore intimidating. Her blog proves she's smart - and approachable. She is constantly challenging me to tackle books I thought were beyond me. No book is too big for her to conquer and I love hearing her thoughts on great literary masterpieces. The most real blogger I know: Lisa at Lisa Writes . . . Through her I have learned that honestly in life is the best policy. I've learned that it's ok to hurt sometimes but important to press on. When she thinks she's at her weakest, I find her to be my strongest inspiration. I can't say enough good things about Lisa. So I'll just move on. Best Community-Building Individual Blogger: I'm going with Sherry at Semicolon. Where would any of us be without Semicolon's Saturday Review of Books!?!? I wouldn't have met half of you if not for Sherry! A fabulous home school mom, she appears as if she can do it all. I cannot BELIEVE how many books this woman chomps through in a year. I bet she doesn't reeeally have it all together but I'm still impressed and grateful for her Saturday posts. Thanks, Sherry for your work and care! Comment on her blog to let her know you have posted the award. Thank you! I'm honored!! It's been fun getting to know you the last couple of months. I can't wait to see what 2009 brings. Carrie, thank you so very much for the kind words about my blog. I've had such fun in 2008 and am looking forward to working with you and reading your blog as well as posting my own in 2009. I look forward to all the reading and blogging excitement that 2009 will bring. Looks like I'm in good company! A distinction well deserved on your part, that's the truth! I'm finally catching up on blogs after being away for so many days, but may I give a heartfelt thank you?? Those are truly some of the kindest words that someone has ever said/written about me, and they mean so much. I also loved what you said about how blogging brings people together. I agree. I'm always tickled to see how the blogging circles intersect as well -- Stephanie somehow found my blog a while ago, and now she's active here at at 5M4B, and of course you and Lisa both contribute at 5M4B. Anyway--YOU are a blessing to me as well, and it's been a pleasure. How very, very kind of you, Carrie. May 2009 be a year of blogging and reading and encouraging and community-building.